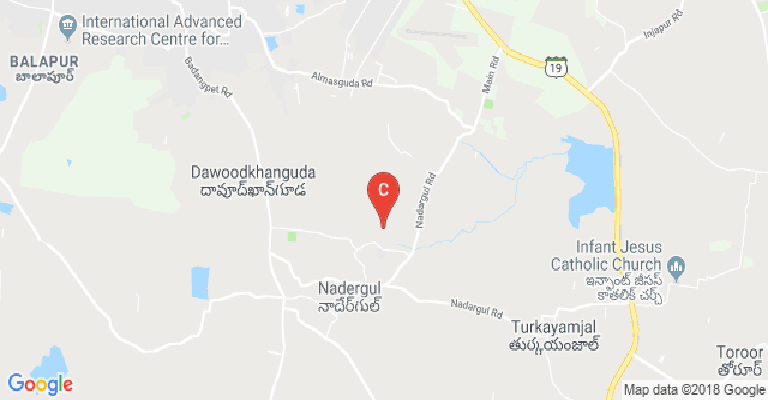 This College is accredited by NAAC C (National Assessment and Accreditation Council) validity is 02 Mar 2020 and the score is 1.59 . My experience about collage is very discipline collage and strict rules which is safe for girls and nice faculty with beautiful nature . Finally it is a nice collage we can study with full enjoyment.Iam happy to get in this collage actually i have a stage fear in previous years but when in english classes we done some tasks on the stage. now I don't have any stage fears .Iam fully satisfied with this collage. The infrastructure of our college is very good. The faculty coordination is always available with 100% result. The library facility is available. The lab equipment and components are very good. The cultural events will be conducted.I really enjoy my college education system. Interaction sessions will be conducted in which we can clear our doubts in academics.seminars will be conducted. Gym facility available for physical health.placements is also available which are very useful for us. Do’s : friendly faculties . Robotics lab facilities are provided . Strict college . Don’ts : No correct placements provided by the college . Poor laboratories ,only few systems and equipment’s works in the labs.no proper classes are teached . No proper experienced faculties ,they will not finish portion in time . No proper events ,fests are conducted in the college . Some times faculties show patshality to the students in marks . I will not recommend this college . I have really enjoyed our management facilities like labs,sports,hostel,library,robotics lab, r&d, Placement cell.infrastructure is very good. Many of my friends got selected in very good companies and in core companies too. Facaulty encouragement will be always there for the students, discipline is very good . I really enjoyed the academic year of our college the management support is always 100%.The faculty encouragement and coordination is good. The infrastructure of our is really well.The facilities of our college like in sports, cultural activities, labs, and hostel are really good.In our college hostel, there is particular session for karate and yoga classes. 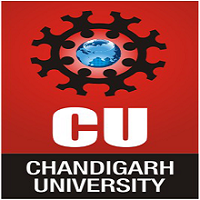 This College is accredited by NAAC (National Assessment and Accreditation Council) C validity is 02 Mar 2020 and the score is 1.59 . Girls Hostel :Sphoorthy's campus hostel is quite spacious, and a minimum of 500 students can stay here. For girl students, the security is beefed and they are protected from any kind of adversities.The hostel is maintained very clean so that the surroundings are hygienic. 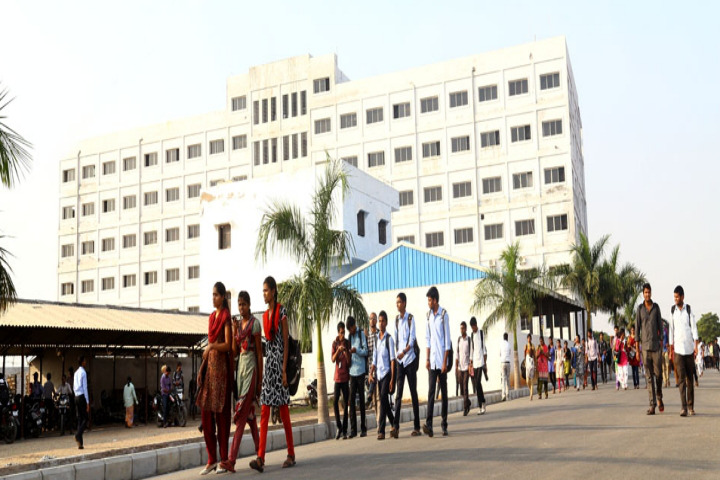 If you are looking for engineering colleges with hostel facility in Hyderabad, then Sphoorthy is the ideal college to go with.Our hostel Kitchen features a large menu, with tens of mouthwatering dishes. And these dishes are made with the utmost care to maintain the hygiene.We have also provided a dedicated gym in the ladies hostel so that they can stay fit and healthy during the stay. The hostel rooms are also provided with all the required amenities, which our students would like for sure. Medical/Hospital :The college has a Medical Facility for students and staff. 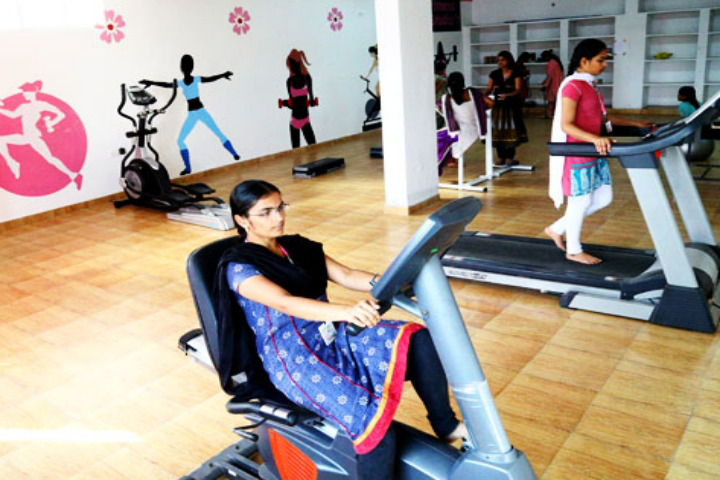 Gym :The college has provided a gym facility for the students. We made sure to provide dedicated gyms for boys and girls so that they can work out efficiently. We have also stacked the gyms with the latest equipment, and include the required peripherals too. 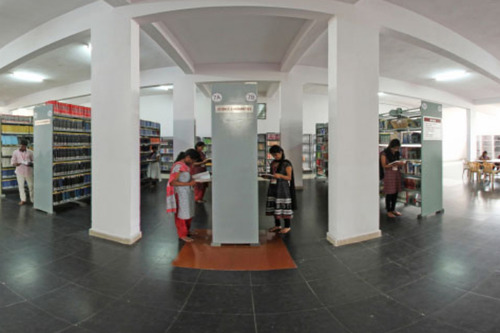 Library :The college library occupies a place of pride and is an essential component of the institute's outstanding research and education mission and spaciously built in with 16000 sq. ft. The Digital Library facility is available with e-journals and e-books. Sports :The college encourages students to participate in sports and games giving importance to physical education as well as encouraging student's interest. 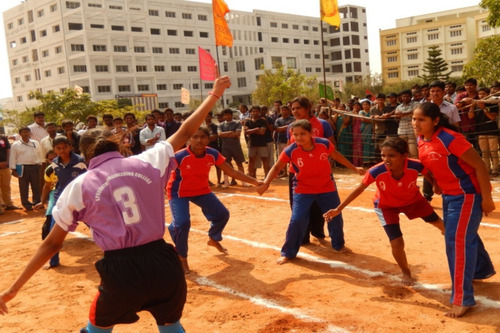 All infrastructure facilities for sports and games are funded by Spoorthy college management. It encourages students by conducting special events annually that includes encouraging students by rewarding them through conducting tournaments etc. I.T Infrastructure :The computer labs are highly functional, with all the state of art features available on the tap. They are constructed to cater to the various needs of the students like academic purposes, digital learning, and internet browsing. 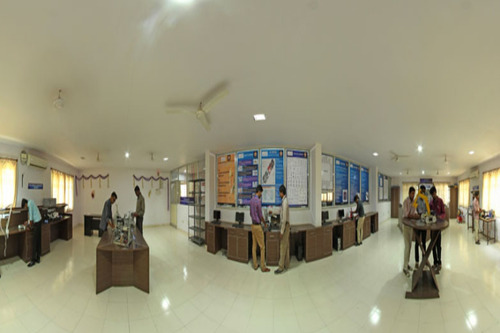 Cafeteria :The college has a spacious canteen facility in the college premises and is run by the college management. The college provides a variety of food prepared by skilled chefs. Management takes special care in providing students hygienic food. Spacious canteen allows with good seating facilities. Auditorium :The spacious auditorium of Sphoorthy can seat 500 people, and it is very comfortable for conducting any events, workshops and seminars, enabling 1200+ events to conduct till date. Transport Facility :The college provides Transportation facility for the students coming from different locations of the city. 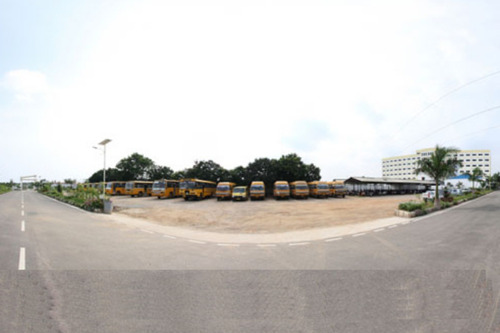 The institution runs the huge number of buses covering all the important points of the city and separate Buses from Dilsukhnagar for Girls and Boys students separately. Alumni Associations :The Alumni meet is organized every year and organizes various programmes on Career Guidance. The Alumni supports the Training and Placement Cell to enhance Placements and Internships to the students. Wifi :Sphoorthy provides internet connectivity round the clock for its students. The college understood the needs and provided 24x7 Wi-Fi Facility in the campus. Laboratories :The college has the well-equipped laboratory for student learning as well as for faculty research are made available.